As you may recall, recent digital analysis of the long-standing tallest peak, Hkakabo Razi, suggests that its original elevation measurement was overstated by as much as 100 meters, and that Gamlang Razi may actually be the taller peak. The expedition team successfully summited Gamlang Razi last year, collected elevation data with Juniper Systems’ Archer Field PC®, and found its elevation was indeed higher than the recent digital analysis measurements for Hkakabo Razi. However, people remained unconvinced, unwilling to disbelieve Hkakabo Razi’s original measurement. And so the mystery continued. Last fall, The North Face and National Geographic put together a team of professional athletes with a goal to put the long-standing controversy to rest. Having Juniper Systems recommended to them by the previous expedition team, The North Face/National Geographic team approached us with the need for a high-precision GIS positioning solution to measure the elevation of both Gamlang and Hkakabo—one that could withstand both the hot, wet conditions of the jungle, as well as the bitter cold of the summit. Their aim was to ascend both peaks, collect the elevation data atop each, and settle once and for all the matter of the tallest point in Southeast Asia. 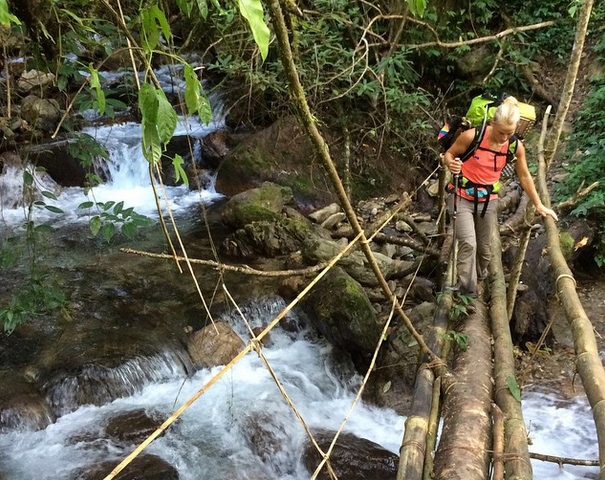 Their trek would involve over 300 miles of hiking through swampy jungles ridden with venomous snakes, mosquitoes, and insects, and then of course, the dangerous ascent of both Gamlang and Hkakabo, each standing close to 5,800 meters tall. National Geographic recently posted a video with highlights from the team’s expedition. You can watch that here. 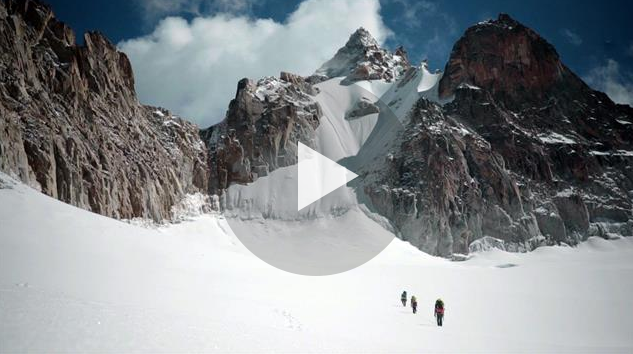 Watch the National Geographic’s video on the expedition by clicking the image above. The story is also featured in the National Geographic September 2015 magazine print edition. After assessing the team’s GIS needs, we recommended an ultra-rugged, high-precision solution: Juniper Systems Archer 2™ rugged handheld with Septentrio’s Altus Positioning’s APS-3 high-precision GPS external receiver. We also recommended using Effigis’ OnPOZ GNSS Software suite, consisting of EZTag CE™, for data acquisition, and EZSurv®, for post-processing data to increase accuracy. Post-processing, in combination with using the APS-3 GPS receiver, yields results that are accurate down to 2 millimeters for typical environments. Because this GIS solution is incredibly simple to use—I’m talking, power on, connect devices via Bluetooth, and hit Start to collect data—the training I provided the team was very basic. The main takeaway for them was that once on top of the peak, they would need to allow the GPS receiver to acquire a complete almanac for 15 minutes, and then record as much data as possible—ideally, 20 minutes worth—for a total of 35 minutes. Realistically, however, we knew that conditions atop the peak may not allow for that much time, so the team would simply have to collect as much data as conditions allowed. To demonstrate how the GIS solution would work, I took the Archer 2 and Altus receiver with me to a couple of USGS survey markers (known points), and tried the process for myself. I allowed the Archer 2 to acquire a complete almanac, and then recorded data for 20 minutes. By crosschecking the data I collected against the known survey coordinates, I found that the Altus receiver provided centimeter accuracy—true to its specifications. I also collected some stand-alone data from the Archer 2’s GNSS receiver and post-processed it using EZSurv. This yielded elevation accuracy within a half meter—also true to its specifications. Obtaining accurate mean sea level elevation data is not possible for typical consumer GPS devices, which is one of the benefits of using a specialized, rugged solution like the Archer 2, Altus APS-3 receiver, and Effigis EZSurv software. The Archer 2 easily met all of these requirements. The team would also use the Archer 2’s GNSS receiver to geotag photos and record location data along the route, utilizing the JSNav GNSS app that comes loaded on every Archer 2. Since JSNav can output data to common file formats like KML for Google Earth, the team would be able to share their data with interested parties and school classes that would be following their journey. 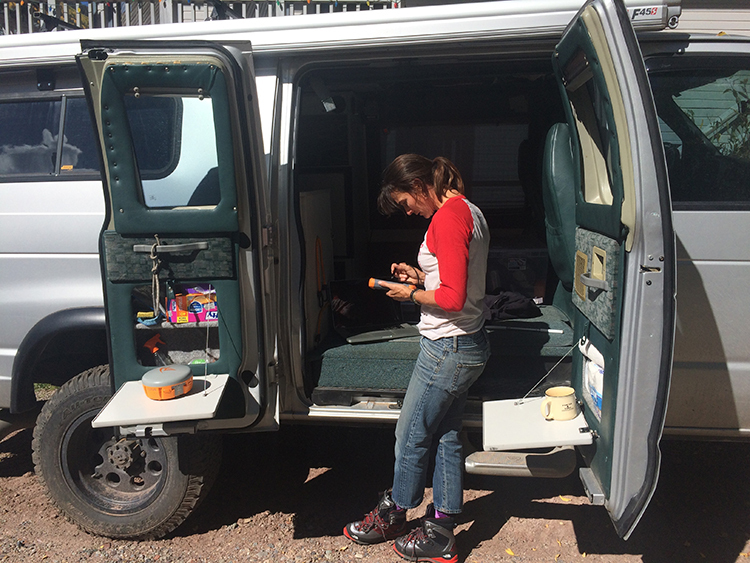 So on October 1st, loaded up with mosquito nets, expedition equipment, high-energy foods, a couple of Archer 2 handhelds, and an Altus receiver, the expedition team set off on their 7-week adventure to Myanmar. 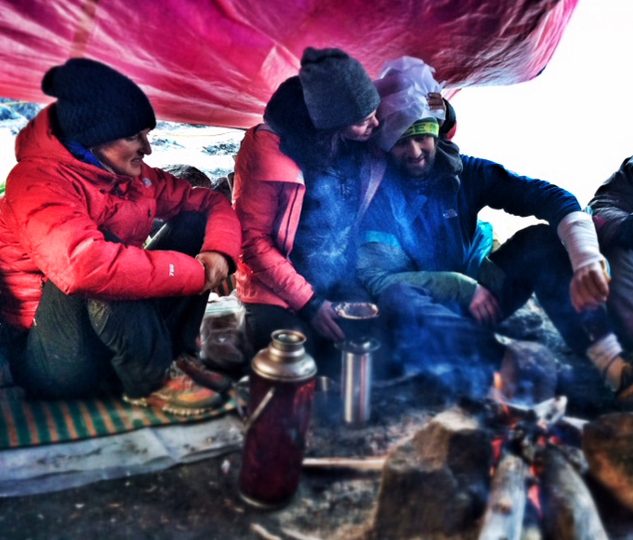 To read about their experiences, you can visit The North Face’s blog, Never Stop Exploring. The team faced many hardships, unlucky events, and treacherous conditions. Their dispatches are filled with encounters of prolific insects, leeches, and venomous snakes. One climber broke his arm, and towards the end of the journey, food supplies were so scarce that it’s a wonder the climbers even had enough energy to keep going. 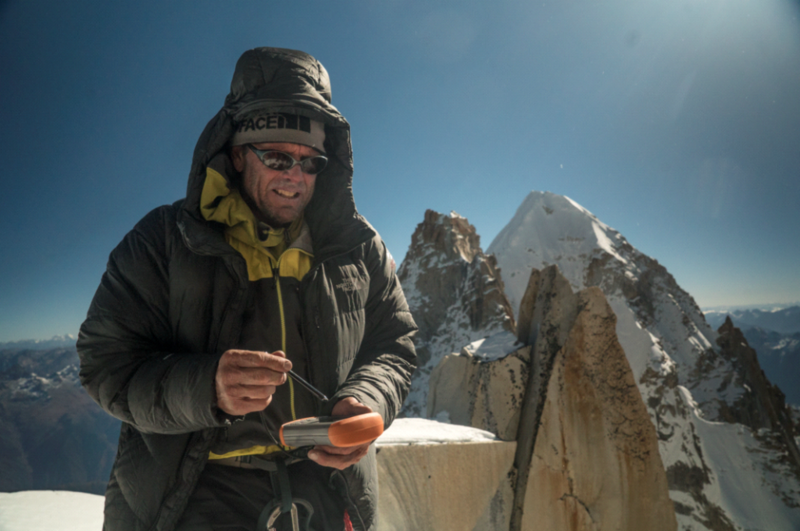 The perils atop Hkakabo Razi and lack of sufficient resources ultimately forced the team to turn back, preventing them from reaching the summit and recording its elevation. The tallest peak in Southeast Asia will remain a mystery for some time yet. However, we’re very happy that the team is home safe, having completed an amazing adventure in one of the most remote reaches of the world. To learn more about Juniper Systems’ GIS solutions, visit our website or contact us online. Very well written article Trevor! Keep up the amazing work!!! Thank you, Max. I appreciate it! Can you get in touch with me ? Septentrio would like to do a piece on your article. My email is included.